Arizona State University beat University of Arizona in the 2017 Jenckes Cup against ASU. 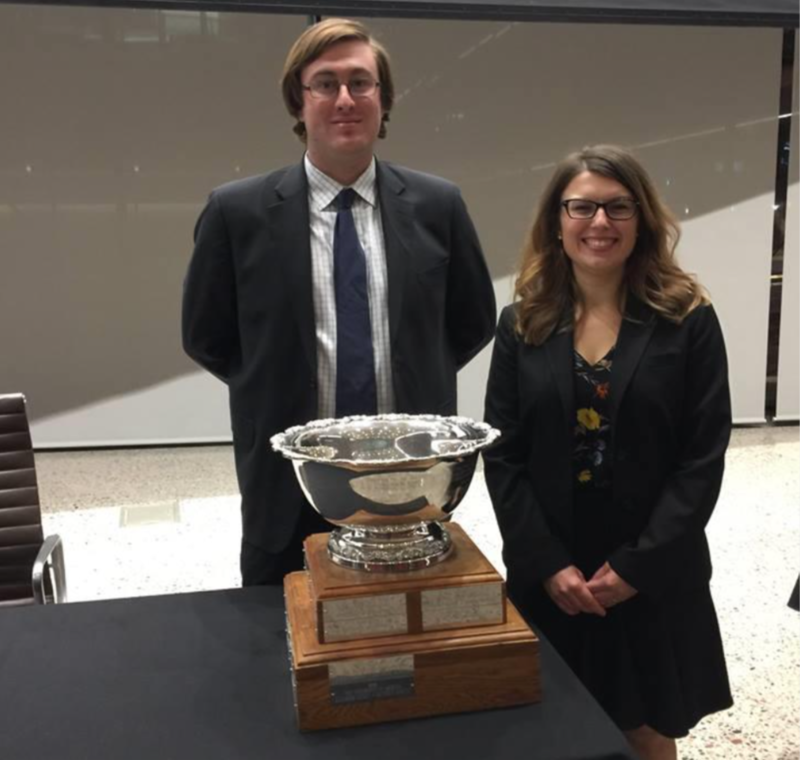 Angelika Doebler (2L) (right) and John Thorpe (3L) (left) proudly brought home the first win in a long time for ASU, serving as the defense team regarding a wrongful death and road-sign design case. Two weeks before the competition, each team received a transcript of the actual trial that went to court, minus the closing arguments. The students then craft their own closing arguments, and argue against each other before a judging panel of up to 40 trial attorneys who are members of the Arizona Chapter of the American College of Trial Lawyers. The judges are not told which school competitors attend. Thorpe and Doebler trained for the competition with coaches from Jones, Skelton & Houchuli.